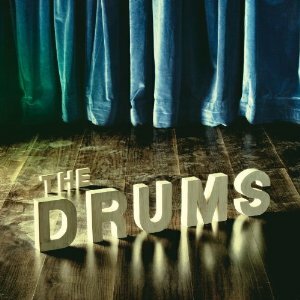 If Phoenix's "Lisztomania" was the soundtrack to a manic dance scene in a long lost John Hughes film, the Drums' "Book of Stories" should play in the part where Anthony Michael Hall quietly reflects in his bedroom. Propelled by a light snare and synthesizers, songs like "Best Friend" and "I'll Never Drop My Sword"perfectly pair upbeat melodies and breezy vocals with melancholy lyrics. As a result, the songs consistently sound somewhere in a muted and liminal space between dancing, reflecting, and yearning. Although it's been used many time before, I like the way "Let's Go Surfing" lifts a few choice lyrics from Little Anthony & the Imperials. Oddly, the album does not have two of my other favorite songs: "Saddest Summer" and "I Felt Stupid". The Drums play this Sunday with Surfer Blood at the Wonder Ballroom. It's a fantastic pairing, so grab your board shorts and your flip flops and let's pretend it's still summer. Fans should also check out French Films.